One of the most essential professionals you will need for your Larchmont home is an expert HVAC contractor. From installation and inspection to repairs and replacement, there are a wide variety of tasks that need to be taken care of for this system in your home. The problem is that if you don't know who to call on for this type of work, you could end up disappointed with the results you get. When you make the wise decision to team up with the Nu-Way Air Conditioning & Heating team for all of your work, you can rest assured that you are getting the best in superior quality service that there is. Your Larchmont home heating system is essential not just for comfort; this is what helps keep your family healthy and safe during the cold winter months, as well. If you are in need of service or repairs, this is not something that you should put off. If you try to use your heat when it is not in fully operational mode, all you will do is put extra strain on it. This will result in higher utility bills, as well as cause you to need to replace your system before it should be time. Let's not forget about the importance of having functional cooling all through the summer months as well. Don't put your loved ones through the anguish of grueling summer heat by forcing them to live without a functional AC system. 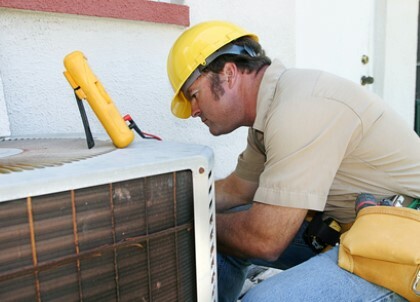 We can help you make the most of your air conditioner by offering you a tuneup and making any necessary repairs. Give us a call today and let's get started. Let's not overlook the importance of having proper measures in place to enhance your indoor air quality. The average homeowner is living with air quality that is not where it should be. The good news is that there are measures to take in order to make sure that you and your family members are breathing the quality of air they should be. This is especially important for anyone who suffers from allergies, asthma or other breathing related health problems. So what are you waiting for? Give the Nu-Way Air Conditioning & Heating crew a call today and let's address all of your Larchmont HVAC service needs. We look forward to working with you and providing you with the level of quality service you deserve. Don't keep putting off until tomorrow what we can take care of for you today. If you're looking for a Larchmont HVAC contractor, then give us a call today at 914.777.5030 or complete our online request form.